The research, conducted by the Sociological Group "Rating," said that the vast majority of respondents consider that Ukraine was in a state of chaos or collapse, while only 21 percent and 17 percent think that country was in a state of development and consolidation respectively. 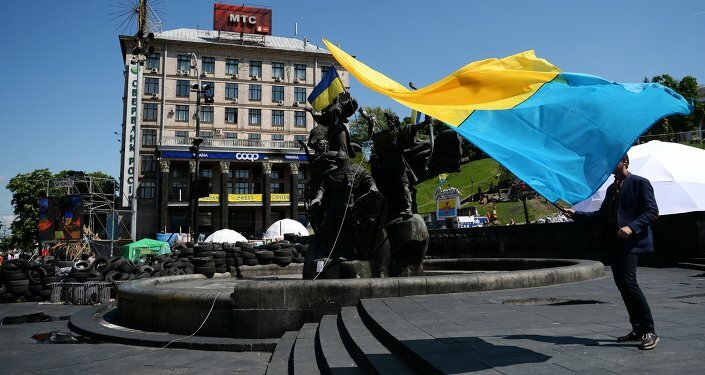 KIEV (Sputnik) — At least 85 percent of Ukrainian citizens consider that their country is in a state of chaos, while 75 percent consider that Ukraine is in a state of collapse, a recent survey said on Wednesday. The research, conducted by the Sociological Group "Rating," said that the vast majority of respondents consider that the country was in a state of chaos or collapse, while only 21 percent and 17 percent think that Ukraine was in a state of development and consolidation respectively. According to the survey, 70 percent of respondents consider that the situation in the country could result in the nationwide protests, similar to the ones that took place in 2004 or in 2013, however 21 percent oppose this point of view. At the same time, the poll showed that 47 percent did not support the nationwide protests, while 41 percent support them. The sociological group surveyed 2,000 adult Ukrainians in face-to-face interviews held between on May 19-25.